Regardless of the type of activity you’re into, whether it’s indoors or outdoors, winter affects everybody, and you should do your best to stay warm because the cold can harm you and you are more prone to injury when your muscles aren’t warmed up. There are some steps you can take to make sure your muscle and general body temperatures are high enough for safe practice. Before starting your workout, you should prepare. The first and obvious step is to put on warm workout clothes. If you are inside just one pair of leggings with a long-sleeved shirt should do, but don’t hesitate to layer up a few pairs of shirts and pants outside. Layering is a great way to keep you warm, just don’t overdo it. You still want your clothes to be breathable and to leave some space for warming up to happen. To avoid getting a cold don’t take off your clothes once you warm up. Before you warm up, drink a cup of warm water and pour some of it in your bottle too, this will be a lot of easier on your lungs and often results in slightly higher body temperature. If you are practicing inside feel free to turn up the heating, especially if you are doing static or stretching exercises as it is a lot harder to keep your body warm for those. If you are doing yoga, you can prepare for it with some Pranayama exercises, such as Kapalabhati, which brings energy to your body and helps in the warm-up. Sun salutations are specifically designed for this and are a perfect beginning exercise not just for yoga but for all other activities as well. In yoga, inversions and backbends are known to heat the body the most. Also try to keep your arms up, since this raises heart rate and heat in your body. Along with warm up and preparations, you should also try to keep high body temperature during the exercise, since cold muscles and joints are more prone to injury. Keep a steady pace throughout the whole practice. Choose warmer parts of the day for your practice, such as morning and noon time. If you are outside you might even catch some sun, which will make the workout undeniably easier and more pleasant. By all means, avoid evening practice in the coldest days, since it is almost impossible to keep the heat in your body when the outside temperature is too low. A great thing about winter practice is that your body puts a lot more work into trying to stay warm and as a result, you will lose more calories when exercising. Change your clothes immediately after practice, since wet clothes could make you cold, which lowers your immune system. Before you go and relax on your couch, allow a few moments for your body to cool down. Take a warm shower or a bath 10 to 20 minutes after practice; this will relax your muscles and balance your body temperature. 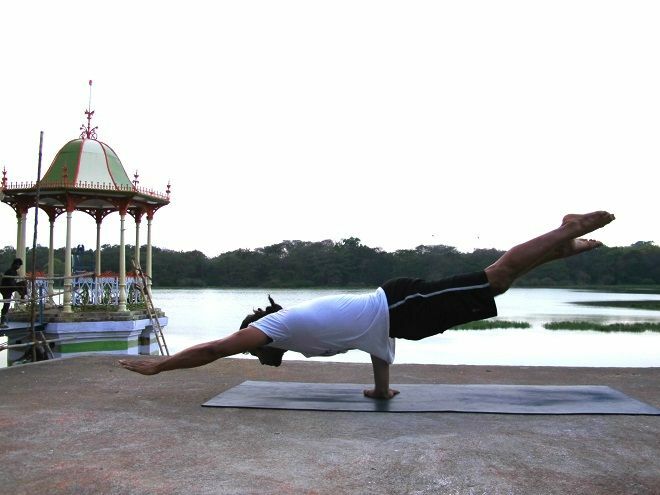 Pungu Mayurasana or Wounded Peacock is an advanced pose that can be found in the 5th series of Astanga Yoga. This pose can also be found in other disciplines such as calisthenics, known as One Arm Elbow Lever, and One Arm Stab in Break Dancing. This feat of strength requires a decent amount of wrist flexibility and strength. Performing Wounded Peacock increases the pressure within the abdominal region, helping ease out dyspepsia, gastritis and splenic inflammation. In addition, it also effectively tones the abdominal muscles, develops strength of the spine and improves shoulder mobility. Wounded Peacock is a very advanced Yoga pose, and it takes a lot of dedication to learn the posture successfully. Also, before hopping into this amazing pose, it is advisable to master Double Arm Elbow Lever, also known as Pincha Mayurasana in Sanskrit. It is the easier version of Wounded Peacock because the weight is equally distributed to both arms while balancing using both hands. Two Arm Elbow Lever/Pincha Mayurasana: This arm balance is an introduction to the full Wounded Peacock Pose. It also strengthens the wrists, shoulders, and spine. One secret to successfully balance is to simply shift your weight forward until both of your feet are lifted. To Do The Pose: Before you begin, identify on which part of your abdominal region you are going to place your elbows. It is suggested to put your elbows at a solid corner of the abs, 2-3 inches away from your navel. It will also be the distance between your hands. Start by putting your knees and hands on the ground. Place your hands at the distance you have measured. Make sure that your fingers are pointed sideways. Straighten your legs and slowly slip your torso between your arms. Stab your elbows at the corner of your abs, then gradually shift your weight forward. Activate your core to keep your body firm and point your toes to engage your legs muscles. Keep shifting your weight forward until both of your feet are lifted off the ground. It is easier to balance with straddle legs, but as you progress, learning to put your legs together while balancing will maximize the benefits. Wounded Peacock/Pungu Mayurasana: Once you master Pincha Mayurasana, you can now progress to the next level. It might be challenging at the beginning, but with consistency, you’ll get there soon. To Do The Pose: Begin on a plank position with your legs separated. Then, plant your right hand on the ground, parallel to your waist, with your fingers pointed sideways and out. Keep your left hand on its position. Take a deep breath in, then bend your elbows and stab them at the corner of your abs. Lean sideways to shift your weight to your right hand. Engage your core to tighten your body and point your toes. Then, start slowly leaning forward to shift your weight and lift your feet off the floor. As you develop your arm strength and balance, bring your feet together while in the pose for a more challenging and more beneficial Yoga experience. If you are experiencing any elbow, wrist or shoulder injury, avoid doing this pose. It is also not recommended for individuals with high blood pressure. Those who just underwent any abdominal surgery. Pregnant women are advised to refrain from doing this pose as well. While most people know yoga in general terms, hardly is it a one-size-fit-all practice. Within yoga are various categories or classes that one can attend depending on what works best. Therefore, when one has decided to join a yoga class, it is important to be aware that what you learn there may differ from what is being taught in other classes. Should one practice all types of yoga, then? Not necessarily. Instead, the best thing that you can do is to try several styles, teachers, or studios to see which one works best for you. Once you find a style that resonates well with you, then go ahead and stick to it. However, it is important to know what to expect even as you look around. Here are 8 types of yoga you need to know about. This is a yoga style that was developed by John Friend and it was meant to give students the ability to self-express. Instead of following a teacher in doing one pose at a time, individuals are guided through poses that their own bodies can accommodate. They express themselves in their own fullest ability. Hatha is the most basic type of yoga in that it is gentler and simpler physical postures. It is one of the original types of yoga and it encompasses almost all types of modern yoga. When people join a yoga class, they will start with hatha as the basic and classical approach. This is a class of yoga that was created by Sharon Gannon and David life, targeting Western practitioners. It aims to push the limits of traditional yoga by integrating traditional elements to modernism. Each class has a theme and the trainees practice as they chant ancient scripture. The name Jivamukti literally means ‘liberation while living’. This is a fast-paced yoga class that is ideal for athletes and those who love intense exercises. In most cases, the movements and the poses are integrated with music to match the beats. The poses and the moves are quick, and one can expect a high heart rate during the classes. Trainees in Kripalu classes are taught to understand their bodies and learn how they work. 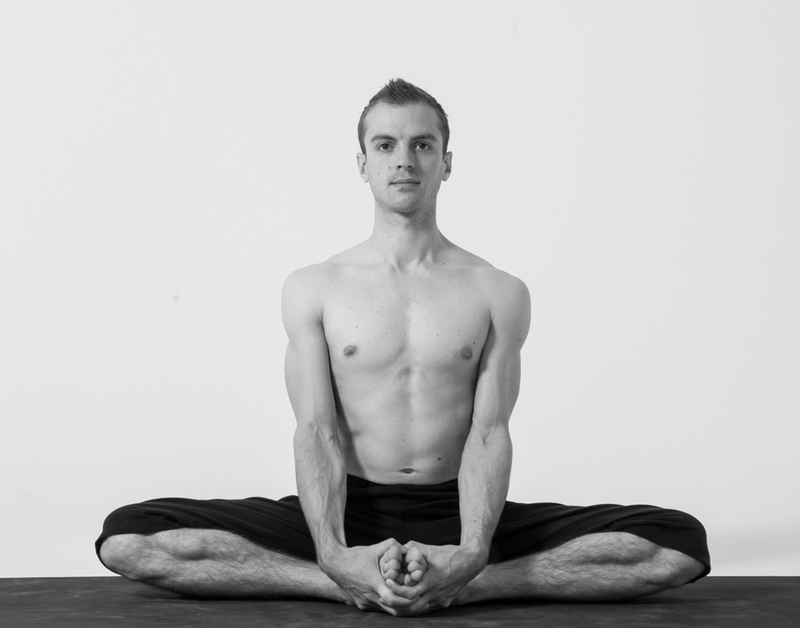 Individuals engage in poses that can be maintained for an extended period. These are then combined with sessions of meditation. Here, people learn to let their bodies be their teacher. Members who start off with Iyengar classes are encouraged to begin at the basic level since these moves here can be intense. Many items such as blankets, ropes, props, and yoga blocks are used in the practice sessions. The poses are held longer, and they are detailed and precision oriented. This approach to yoga falls in the more challenging categories. It is arranged sequentially whereby one goes through a series of six poses that build on each other. They are expected to repeat the same series of poses for every practice session. A teacher can either call out the poses or one can learn to do them alone. As the word may already tell, this is yoga that is customized for expectant mothers. It is organized in such a way that expectant mothers can practice it all through their pregnancy including after birth. It helps women get back into shape quickly and stay strong after child birth. These are just a few of the common types of yoga worth mentioning. It is important to know all the many others that are out there and their subsets. 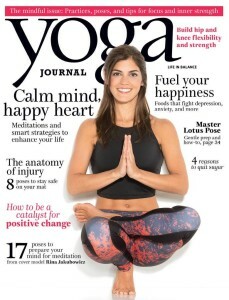 Yoga’s popularity can be connected to its basic benefits such as stretching and improving awareness of the body. Yoga helps to develop a deep mind-body connection. In this way, yoga can be very beneficial for children. Children encounter emotional, social, and physical challenges. Yoga can be used to ease kids through these challenges by giving them breathing techniques, behavioral guidelines, and physical postures. These benefits continue even after the kids get off their mats. Kids can use what they learn during their yoga practices to practice breathing and concentration in all aspects of their life. This allows children to take new situations and conflicts head on and deal with them in a healthy way. Yoga incorporates all muscles in the body which does not only promote kids’ physical strength but also teaches them about what their body is capable of doing. No matter if a pose is taken standing, sitting, or lying down, each pose challenges a different group of muscles and shows different ways that these muscles function. Balance is an important aspect of yoga. Balancing poses are used to promote both mental and physical clarity and stability. Even if a child falls while trying to achieve a balancing pose, they learn to stay calm and get back up to try it again. Once they achieve these balancing poses they are filled with a sense of accomplishment which is very important to children’s mental health. Concentration is a universal problem for children. Practicing yoga poses encourages kids to clear their mind and focus all of their attention on achieving various poses. This concentration and focus learned during yoga practice can easily transfer over into school and improve grades. Confidence and self-esteem can be boosted by the practice of yoga. Yoga helps to instill confidence into young children. It helps children connect more with themselves and promotes them to try new and different things in the future. They learn to persevere, be patient, and work toward their goals on and off the mat. Yoga can provide crucial building blocks to raising a confident and successful child. Yoga is beneficial to children of all ages, but has found to be specifically beneficial to children with special needs such as autism and ADHD. Yoga has shown to reduce children’s aggressive behavior, social withdrawal, and hyperactivity. Yoga practice seems to play to the strengths of autistic children which not only boosts their confidence but reduces their stress. Many adults use yoga to promote mental and physical well-being in their everyday lives. This same practice can help children develop a stable mental and physical well-being as well. Children face a lot of challenges in their lives, not only physical but emotional. By incorporating yoga into a child’s everyday routine they become more self-aware and are better able to cope and respond healthily to everyday struggles. Children practicing yoga is not only beneficial to the child, but also the parent! A happy child leads to a happy parent. Yoga can be a powerful and amazing practice to incorporate into your life, regardless of your age. If you are someone who has been active their whole life, the aging process doesn’t have to put a stop to all pf your movement. As we get older, certain exercises become more taxing on the body – weight lifting, cycling and running are some common offenders. Yoga is gentle enough for everyone and can even help reverse common health conditions and aches and pains. The human body is designed for movement, so it’s crucial you incorporate something that feels good for you in your daily life. In a culture that glorifies multitasking and constant hustling, many of us work ourselves into the ground and face potential burnout. It’s a constant cycle of never-ending to-do lists and 50 plus hour work weeks. Exercise tends to go on the back burner when it should be a priority for the sake of health and longevity. We forget to have fun and enjoy life and we especially forget to just stop and be still. As we get older, we only get busier and take on more responsibilities. That’s why it’s so important to instill healthy habits at a young age that will carry over into your golden years. The good news is, even if you are someone who is embarrassed to admit the last time you saw the inside of a yoga studio or a gym, our bodies are highly adaptable. With a little practice and consistency, you can get into a routine full of movement that will make the whole aging process more enjoyable and healthier! 1. Yoga helps with sleep quality and cognitive function – Any type of exercise is favored for mental sharpness and brain function. Studies have shown that elderly people who practice yoga regularly showed improved memory and attention spans. Yoga specifically is gentle enough for men and women of all ages and can help prevent potential health issues like Alzheimer’s and Dementia. 2. Yoga decreases risk of depression – Depression is very common in the aging population and yoga can serve as a stress reliever for difficult times. Learning how to relax in poses will translate into all other aspects of your life. It will make it easier for you to transition into a calm frame of mind when you are faced with sadness or discontent. 3. Yoga improves mobility, balance and flexibility – If you’re someone who can barely touch their toes, you’re not alone. As we age, our flexibility and range of motion decreases and that’s where yoga can be an amazing tool. Certain asanas, or yoga poses, improve joint flexibility and can also help with any balance issues. Better balance means less risk of falls, a common cause of injury for older adults.